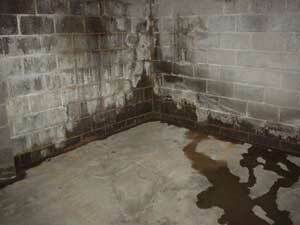 Water can get inside your basement through cracks, joints and porous concrete. Many homeowners think that having a dry basement is impossible. They accept the damp, musty and moldy space below their home because they think there is no other way, or that it's too expensive to fix. Basement Systems makes it possible to have a dry basement, and we can help you make the most out of this extra space in your home. We solve all kinds of basement water problems, including those caused by condensation, runoff and subsurface drainage issues. Basement Systems' local contractors design and install waterproofing solutions, including drainage systems, sump pumps and dehumidifiers, to help keep the basement dry all the time. If you use your basement to store valuable items, such as family photos and keepsakes, holiday decorations and tools, water and excess moisture can damage your belongings. If your basement is finished and your family uses it as a space to relax and entertain, high humidity, mold and mildew caused by water damage can negatively affect your health and comfort. The TripleSafe sump pump, Sedona dehumidifier and WaterGuard drainage pipe offer the ultimate dry basement solution. 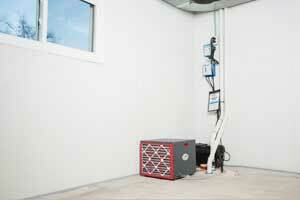 Dry basements are possible if the proper drainage systems and sump pumps are installed. Loose soil around a foundation easily allows water to flow through and seep into a basement through the porous concrete walls and floor, so a reliable system is necessary to keep the water out. A dry basement also requires a trustworthy system to pump the water out of the basement and away from the house. Basement Systems' patented WaterGuard® drainage system circles the interior perimeter of a basement along the floor to capture any water seeping in. A powerful and reliable sump pump system, such as the TripleSafe sump pump, pumps water out of the house leaving the homeowner with a dry basement. To control excess moisture, a SaniDry dehumidifier should be installed. Water can be directed away from the foundation using our RainChute® downspout extension. We also offer solutions for covering those cold, ugly basement walls and floor. Basement Systems' experienced professional basement waterproofing contractors are trained to tackle any wet basement problem. Your local waterproofing professional will evaluate your home and recommend a dry basement solution that's right for you. Contact us today to find a Basement Systems dealer in your area and get an estimate on waterproofing and moisture control for your home!